The history scholars have unanimously voted the bicycle as the most primitive mode of vehicle, the first there ever was. The first ever sketch of a bicycle is dated back to 1493 found in the study of Gian Giacomo Caprotti who was a pupil of the mastermind Leonardo da Vinci. Since then many other types and designs were released like draisine, velocipede, quadracycle, the bipedal michaux, high wheel bicycle, Royal salvo tricycle and many more. The greatest advantage of a bicycle is that it is environment friendly, it contributes no harm to the environment and also riding it is a great profit for health. So in the modern era, there was a stress to produce such a bike which would bear in mind the current degrading state of environment and have great efficiency. Such an alternate could only be an electric bike. The Impossible bike certainly meets all the criterion. The Impossible Bike is an electric bike which weighs 11 pounds and stands at only 17 inches tall. This bike can attain a maximum speeds of up to 12.4mph for a span of 45 minutes. This beautiful concept can allow you to traverse as long as 15.6 miles which encompasses most of the urban distances. The next big factor for a bike is its compact design. For a bike concept to be successful it is of utmost importance since you cannot carry it everywhere with you especially in your office. So this bike offers the feature of folding ability. This bike uses no pedals that might stick out in the folded shape, nor does it hoist any kind of chains that might get entangled. It has a very simple design and after getting folded it looks like oddly shaped glasses. Since there is no other mechanical means to drive it like pedals, this bike is completely dependent on its battery for transportation. The developers had to cut short these options in order to make it weigh less. In the current stage this bike can 180 pound rider but the developers are trying to increase this weight limit and make it more versatile for use. This bike is going to cost much less than the other introduced designs. It has $467 price put on its head for a black colored carbon fiber piece. The structure comprises of a single horizontal beam which equally divides the rider’s weight onto the wheels. The seat and the handle are situated at the same height which further help in dissolving the rider’s weight on a concentrated point. Since its body is made from carbon fiber, it is very light. 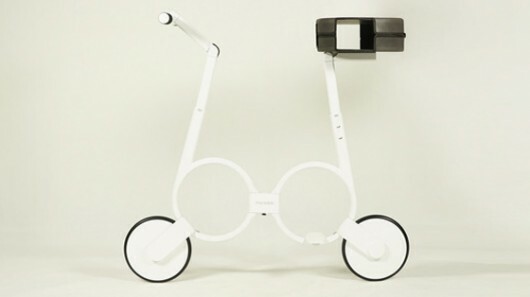 It has a steel box connected in the middle of the frame which takes upon all the shocks while commuting. The battery powers the disc motor. The batteries used are ten 2900mah 10A 3.6V batteries which takes the bike to its maximum speed. 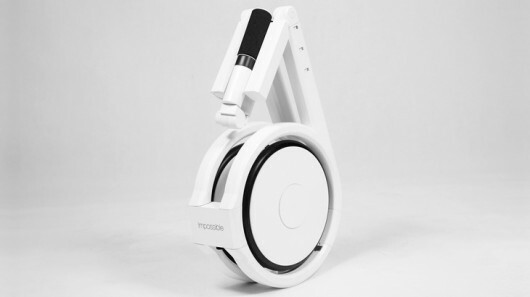 The saddle of the bike is detachable and is aptly shaped to fold the bike inside. The bike will be started shipping in August 2015. Bikes do harm the environment though. You have to make them, they don’t just pop up out of no where.